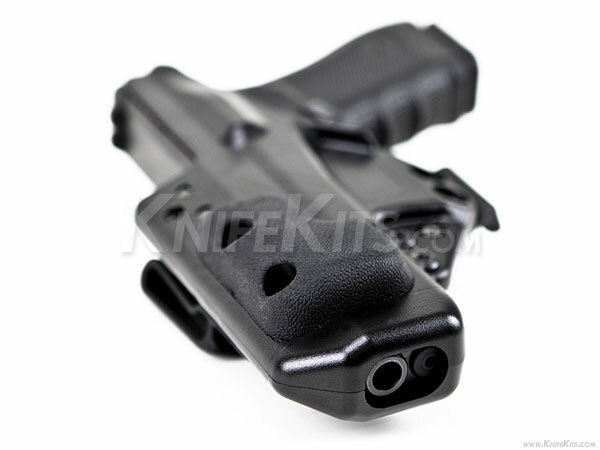 The RCS wedge is designed to mount on the back of the holster towards the muzzle. The wedge helps lever the grip of the firearm into the body for maximum concealment. RCS made their wedges from soft polymer for comfort and durability. The injection molded soft polymer will not degrade nor collapse. The spacing between the holes is 1 3/16" center-to-center with two legs that can be fit into ¼” holes.